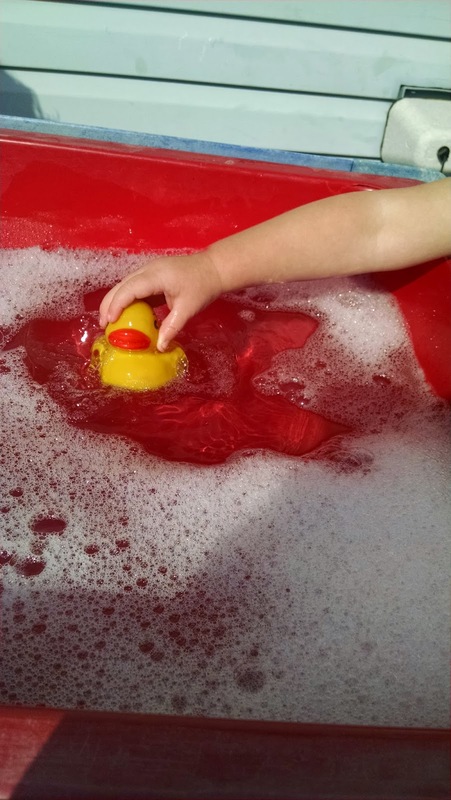 When the temperature starts turning up, our Little Geniuses water sensory temperature turns down! 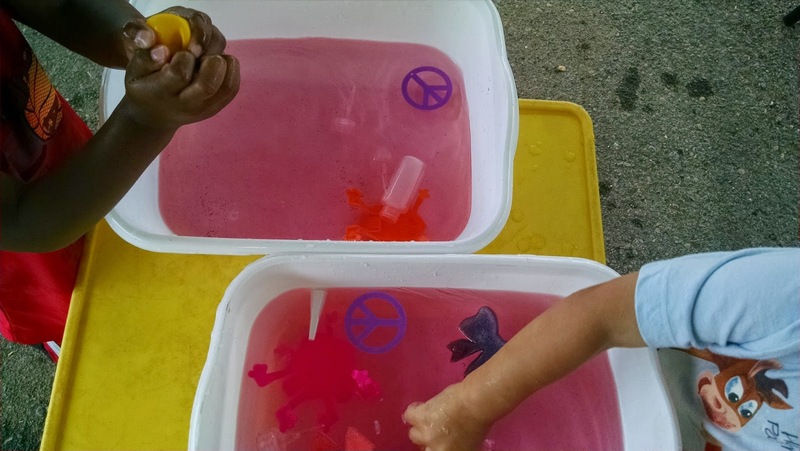 The toddler teachers add water to the outside touch table and to water bins. Different items are put into them including funnels, scoops, buckets, boats and a rubber duck. Sometimes soap or food coloring are added to the water for a different look or feel as we try to engage more senses. The children are strengthening their coordination of movement and extension of concentration even when they are having fun! To learn more about our program and our philosophy, schedule a tour today! A new toddler environment has been created to signify change of a new Montessori teacher! The toddler 2 community is 24 months (2 years old) to 36 months (3 years old) and the main focuses are functional independence, movement and language. Functional independence involves not only taking care of the child's individual needs (toileting, putting clothes off & on, wiping nose, etc.) but also, allowing the child to care for the indoor environment. This includes setting their place for eating, serving themselves, sweeping the floor, crumbing the table and watering the plants. Toddlers are working on finding their place in the world and figuring out how their body works in various ways. They will climb, balance, run, jump, hop, etc. It’s important they have areas to explore their movement and have the opportunity every day to play outside! Our outside environments have a sand box, play structures, gardens, and grass. Which means all of our children have endless outdoor exploration possibilities! Language is explosive at the toddler age. The classroom hosts objects with cards, sorting, lock & latch box, and bring me games to further encourage language. Also, engaging and stimulating conversations that usually involve rephrasing sentences, pronunciation of words and explaining "why?" If you know a Little Genius, read more about our programs and contact us to schedule a tour! 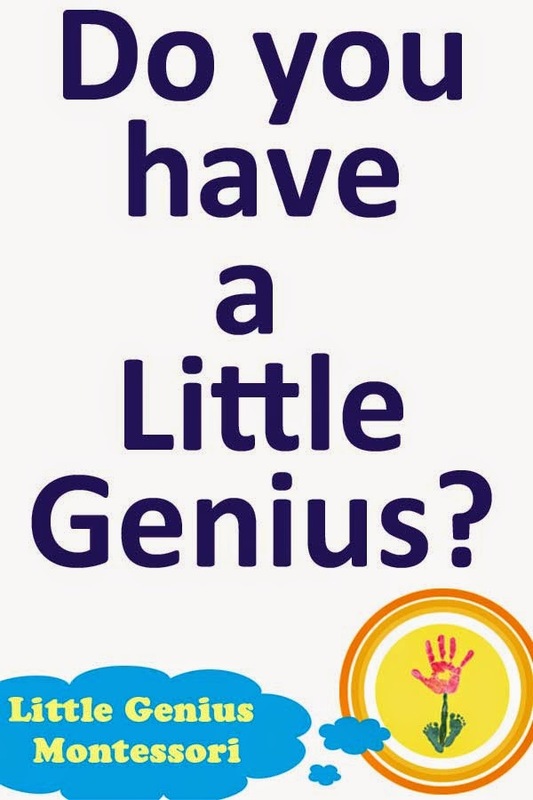 Do you have a Little Genius? Now enrolling for Fall! Limited space available. Learn more about our programs and contact us to schedule a tour today.